Fish are the earliest creatures on earth, and some even believe they are our earliest ancestors. Whatever your belief, no one can deny people’s fascination with sea creatures and especially fish. Fish have varied meaning to people, mainly because of their relationship to the fish itself. People who live in coastal towns such as the Japanese and other river and lake residents relate the fish to abundance, wealth, success and fertility. This is mainly because of their dependence on the fish for food and as a source of livelihood. In religion, fish in Christian faith also represents a somewhat similar meaning. A story in the Bible tells of how Jesus fed 5,000 men with just 5 fish and a few loaves of bread, which also shows abundance. However, because the abundance is dependent on faith, it also serves as a symbol of loyalty and faithfulness. The depiction of a fish can be seen even earlier, with fish shrines dating back to 6,000BC in Northern Europe and about 2,500BC in India. For many cultures back then, the fish was regarded as the symbol of water, mother and the Great Goddess, Amphitrite. It was used to represent femininity and reproduction, sexuality and birth, which is perhaps why it was used as a sign of marriage in Hindu culture. Koi fish tattoos are usually placed on the arm, especially around the shoulder. This is usually because of the mythology surrounding the koi fish whereby they swim up a waterfall. Placement of the tattoo on this position, swimming up the arm is supposed to be a symbol of the struggle one has gone through to achieve a goal. The Ichthys was used as a symbol of identification for Christians, and it is usually places around the arm, particularly on the wrist for easier revelation. The same works for gangs, too, so that you won’t have to take your shirt off whenever you want to identify yourself. However, for a more personal reason, you can choose a place that won’t be easily seen. For example, if you view the fish as a sign of fertility as the ancients did, having the tattoo around the hip or belly would help indicate this purpose. Koi are a group of fish which can be categorized among other carp. The prevalence of koi fish tattoos, though, has been fuelled by Japanese mythology. The ancients believed that koi fish swam upstream rivers and that those which succeeded were rewarded by being turned into dragons. Although this isn’t true, their image has been used to show the struggle against great adversity and the reward that follows the struggle. 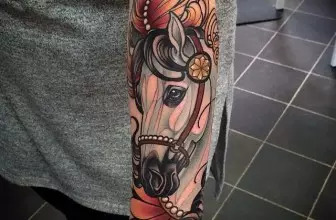 These tattoos have very many variations depending on colour, purpose and accompanying imagery. For example, they are very common among Japanese mafia gangs, and in this case they have a unique meaning to the members. 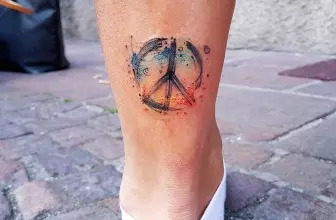 It is the kind of tattoo you want to be sure about its meaning first before having it permanently imprinted on your skin. The shark is perhaps the deadliest creature in the sea, if we consider sheer brute force and strength. This perception of the shark, however, is only isolated in the western cultures who associate the shark with greed danger and deceit. For those who hunt fish, though, the shark is seen as the model predator, one whose qualities are to be emulated rather than feared. Whatever your interpretation of the shark, the tattoo is going to represent what you stand for. There is no doubt, though, that the shark indicates an aggressive character, the go-getter that never backs down in the face of a challenge and always gets their way. Pisces is the zodiac sign for those born between 19th February and 20th March. It is also referred to as the unfortunate sign, because they are believed to be weak willed and highly sensitive. However, they are also perceptive, emotional and receptive, able to connect with people and make friends. If you fall into this zodiac sign, a Pisces tattoo would be an ideal design to express yourself. 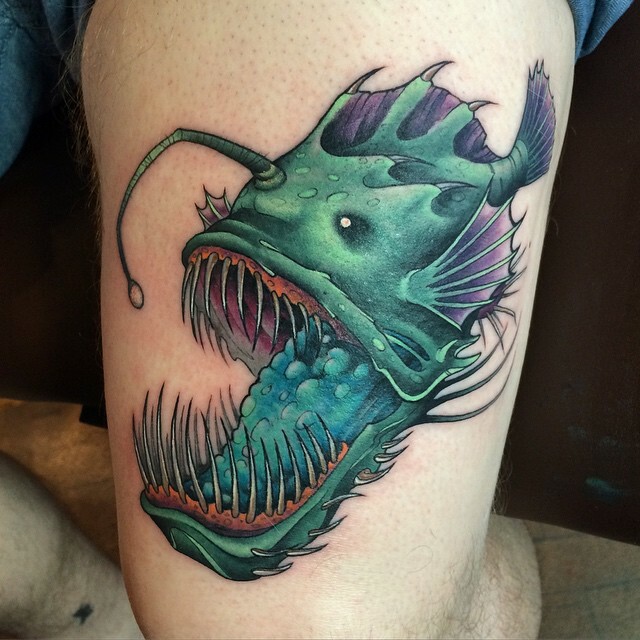 The Pisces tattoo is mainly composed of a pair of parallel fish swimming in opposite directions and a thread hanging from their mouths to connect them. If you want to further simplify it, it can be broken down to just two curved lines facing opposite directions and a horizontal line connecting the two. Also known as the fish sign or the Jesus fish, it is a simple design created only by two intersecting arcs to form the profile of a fish. This type of tattoo is used by religious people to indicate their faithfulness to the religion and also as a form of identification. Besides, it can also indicate a renewal of belief when one had strayed as well as passion. This tattoo can be done in any colour or size, it is, after all, a very simple design to create. To make yours unique, you can inscribe a text or graphic inside that will give it personal meaning. And you should because this design is very common. The goldfish are also a member of the carp family, and they are common in aquariums all over the world mainly because of their beauty. 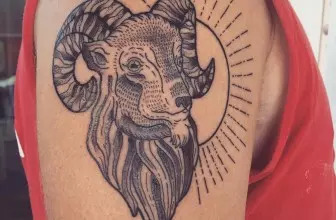 In traditional cultures, though, they are considered as a sign of good fortune and people believe having one tattooed on their skin will give them success. If you’ve ever read The Old Man and the Sea by Earnest Hemmingway, you will understand the meaning of the symbol more clearly. These fish are hard to capture because they put up a huge fight before accepting defeat. A tattoo depicting these fish would be a symbol of the struggle against adversity, not to mention a beautiful design with the long and sharp snout of the fish. They say dolphins are the smartest creatures in the water, highly intelligent and also adorable and lovely. This design indicates wisdom as well as beauty and elegance.